How many times have you had to tell someone, “I am crazy busy” or “I am so busy I can’t see straight”? We have all been there. But when is it too much? I have recently read a few blog posts/articles on this topic (when I wasn’t too busy to read! ), and it got me thinking. Is being busy glorified in our society? Are we driven to over commit and not enjoy downtime for fear of looking lazy? Many people, especially women, feel that having a packed calendar equals success in life. I have been there. When I first started out as a novice yoga teacher, I was proud to tell people about how many classes I taught weekly, how I would run from one to another without having a break at all. I thought this was necessary for others to consider me a serious yoga professional, and I thought that this was a hallmark of successful yoga teachers. But I was wrong. I became an exhausted yoga teacher in need of a personal yoga practice, and I have been working hard not to make this mistake again. There is a fine line between feeling accomplished after a full day of work we love to do, inside or outside of the home, and feeling wrung out, hungry and cranky, because we literally did not have a moment to stop for lunch. I grew up in Europe where six weeks of vacation per year, shorter work-days and afternoon siestas are the norm. There is a great difference between “working to live and living to work”. The pace of life is faster in the US, we feel the need to “fit everything in.” Having free time is a luxury, especially for parents of young children. But we are responsible for our own choices on how we spend our time, the most important commodity in life. One of my best childhood memories is spending leisurely Sunday afternoons at our lake house with my family, or going for a stroll since everything was closed on Sundays. My dad was an extraordinarily accomplished university professor, published author and scientist with many responsibilities, but somehow he always managed to have plenty of time for everyone he met, and he was able to give them his full attention, making them feel valued and important. I don’t have all the answers, but for me sitting down with a cup of coffee in a mug rather than a plastic to go cup, or grabbing a spontaneous lunch with a friend instead of scheduling weeks in advance, is important. I like saying that I am not too busy, and that I have time for others. I don’t feel less accomplished or less successful now that my teaching schedule isn’t that full. I feel just the opposite with gratitude. I still have a long way to go to manage my time more effectively as I am not always good at being able to unplug, and I spend more time on Facebook than I should, but I am working on all those things. 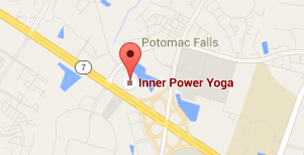 Would my yoga studio be even more successful if I was more ambitious? Probably, yes. Would I trade the time I spend with loved ones or on my mat to working on my business more? Definitely not. My hope is that the people I come into contact with know that they are important to me. That I can make a small impact just by being there for my students. That my kids or my husband never feel that I am too busy to listen to them. This is my definition of success.